Airports are fascinating. Come on, admit it. They’re still transportation marvels even if the golden age of air travel appears to be behind us. On a recent trip through OAK, I noticed some old hangers hiding away in the background of the current terminals. It got me thinking about the early days of the airport, so I dug through the archives at the Oakland History Room to read up on its origins. Here’s a summary and some of my favorite photos from the archives. 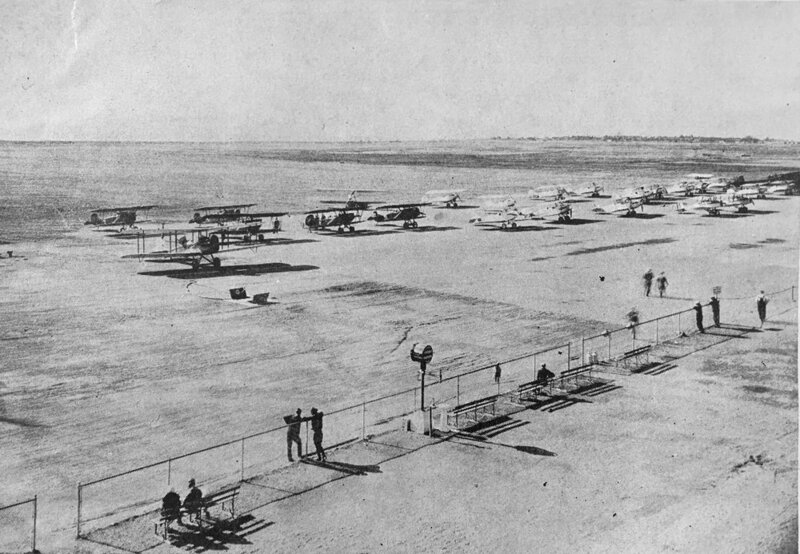 Back in 1927 the Oakland Airport was a big ol’ field sitting adjacent to San Francisco Bay. Thanks to a bond measure, the 825 acres officially became The Oakland Municipal Airport for $769,000. What a bargain. Thanks to the blessings of the Assistant Secretary of War for Aeronautics and a couple other guys with long titles, construction of the first runway was underway by mid-1927. The Army needed a runway long enough for its cargo planes so that it could establish an air route to Hawaii. At 7000’ long, Oakland’s gravel runway was the only option on the Pacific Coast. Fun fact - one of the pilots on that first flight was Lt. Hegenberger, hence the road leading to OAK today. In case that wasn’t enough excitement for OAK’s first year, Charles Lindbergh touched down to see what all the excitement was about. Before leaving, he declared Oakland “The finest, most modern airport in the country." The gravel runway was only temporary though, and by the end of ’27, construction on the permanent facilities were underway. The initial scope included an administration building complete with a hospital, press room, and comfort stations (whatever those were), two hangers, and the first part of a drainage system for the field. The work wasn’t just limited to the airfield; dredging quickly began on an adjacent inlet. The channel became a landing strip for sea planes and an access route for cargo and passenger boat service. Next time you drive past the airport on Doolittle Drive, take a look to the right. The channel is still there, now part of the MLK Jr. Regional Shoreline. One of the 'flying boats' that flew in and out of Oak. By 1928, Oakland had also become an essential component of the air mail network. Both regional and transcontinental mail planes were flying through Oakland daily. Passenger service arrived the same year. By the middle of the year there was 6000 passengers arriving each month. In less than two years, OAK had already established itself as the primary Pacific Coast Airport. Obviously the trajectory of growth continued after that, but you’ll just have to go dig into the archives yourselves. The Civic Center Post Office under construction in 1930. 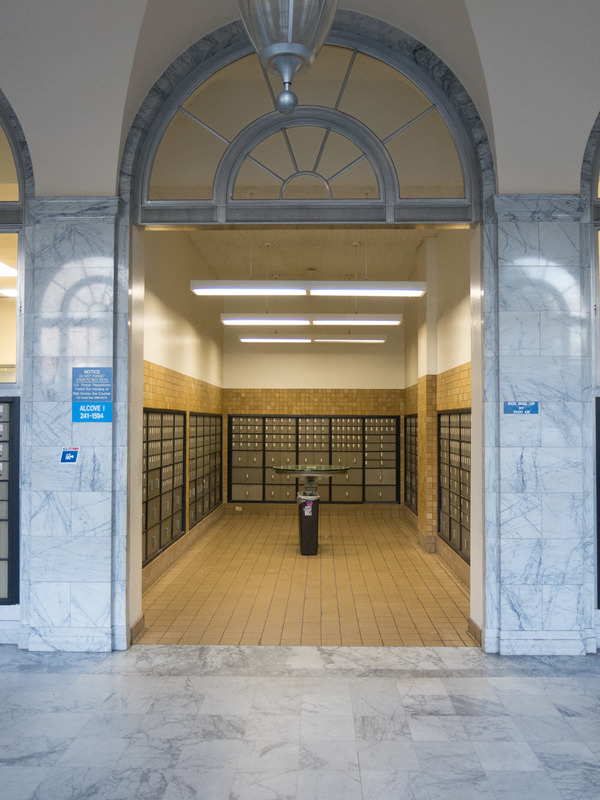 Ever since moving to the Lake Merritt area, the Civic Center Post Office has become my go-to spot for mail pleasantries. It’s also become the subject of considerable day-dreaming whenever I’m waiting in line. The interior, with it’s sprawling marble and cathedral ceilings, makes you feel as if you’ve been transported to another era. At the same time, it feels strangely retrofitted. As if the Postal Service realized they needed to change the layout, but couldn’t bring themselves to make substantial changes, so they crammed the new elements in where ever they could. 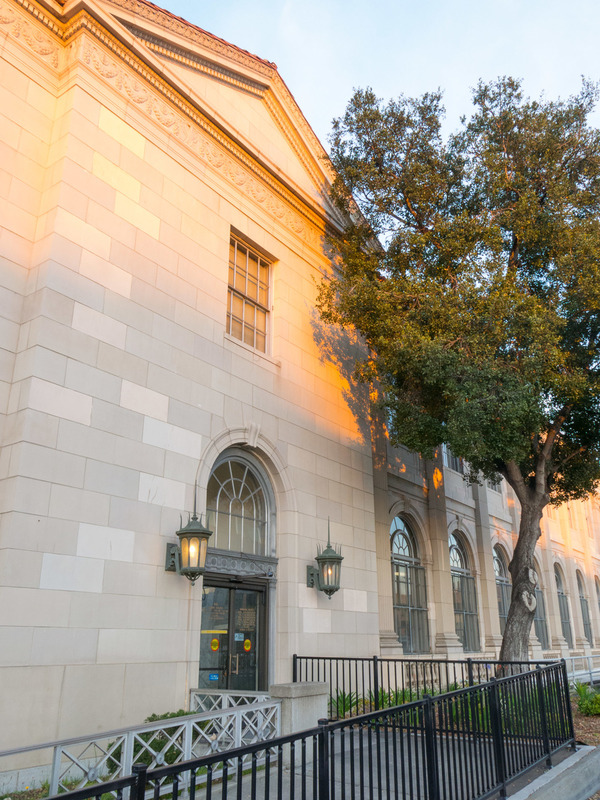 The question of how the building has changed over time led me to the Oakland History Room, where I found some fascinating history about the Civic Center Post Office. Before I figured out what the building used to be I discovered a whole bunch of other fun facts. A Tribune feature showing all of the Post Office's homes prior to the Civic Center building. Courtesy of the Oakland History Room. By the 1920’s Oakland’s post office had already outgrown 10 locations, and the latest headquarters at 17th and Broadway was, yet again, too small. So, it was time to knock that one down and build a new one. A committee of important people got together to figure out where they should build next. An aerial photograph AND a graphic?! The Tribune was way ahead of it's time back in 1929. Courtesy of the Oakland History Room. The land bounded by Alice, Jackson, 12th, and 13th Streets was selected because of it’s proximity to downtown, the airport, the industrial section along the estuary, and East Oakland. A mixture of homes and apartment buildings occupied the space, so there was a heated debate over how much they should be compensated for their property. Ultimately, the federal government shelled out $550,000 for the land. The buildings were immediately razed and construction began in 1929. Laying the cornerstone was one of the many ceremonies surrounding the construction. More importantly, check out those sweet sashes. Courtesy of the Oakland History Room. The construction was repeatedly front page news. Clearly, Oakland was really pumped about its new Post Office. When the building was completed in 1932, with a final price tag of $1.5M, it warranted a parade. Back to my initial inquiry, it turns out the building was a whole lot more than just the post office headquarters. US Customs, the IRS, Secret Service, War Dept., Dept of Labor, and a handful of courts all called the building home at back in ’32. Jackpot! Another stellar graphic from the Tribune. Courtesy of the Oakland History Room. In looking through old photos I was able to find an old Tribune clipping with a photo of the lobby that spurred the initial inquiry. Turns out that a bunch of the service windows have been converted to enclaves for more PO boxes. I wish they would bring all the service windows back, and maybe the auditorium while they’re at it. Is that too much to ask? The main lobby when the building first opened in '32. Courtesy of the Oakland History Room. The main lobby today. So many PO boxes. Bring back the service windows! Image from Kickstarter.com. Random aside - check out their record breaking Kickstarter campaign. If you’ve never listened to the 99% Invisible podcast you’re in for a treat. For anyone who finds design or architecture interesting, this is the program for you. The 99% Invisible team is based out of Oakland, so as a Bay Area resident you’ll have the added pleasure of hearing lots of local tidbits. Roman Mars and his crew have mastered the art of finding fascinating stories that hide within the seemingly dull built world around us. So much of what we interact with on a daily basis was designed a specific way for a specific reason, yet we rarely stop to think about why. My favorite episodes up until this month focused on revolving doors, highway design, and the history of jaywalking. The reason I say up until this month, is because the November 11th episode focused on flag design and included a shout out to the Oakland flag. It was a quick feature, but it made my week nonetheless. PS I subsequently discovered that there was another podcast on flag design in the early days (before I got hooked).